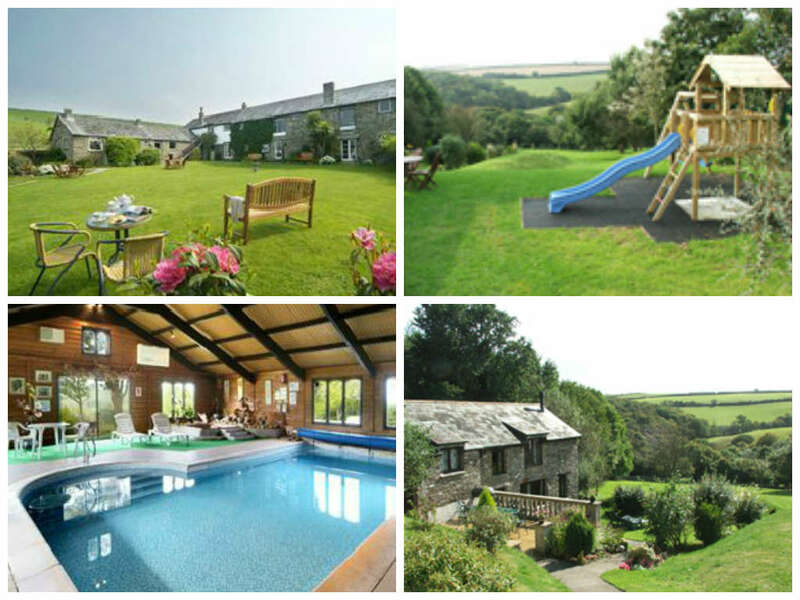 Fox Valley Cottages is a complex of family friendly holiday cottages near Looe in Cornwall. The complex benefits from a number of child and parent friendly features including an indoor swimming pool, play area, spa and sauna. 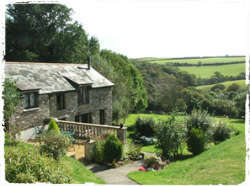 Fox Valley Cottages are in easy reach of all the attractions Cornwall has to offer including The Eden Project, Lost Gardens of Heligan, Lanhydrock, Mount Edgcombe, Cotehele, Bodmin Moors, Bodmin & Wenford Railway. 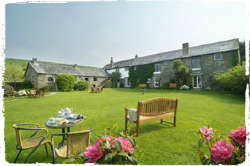 Fox Valley Cottages is a picturesque complex of eleven family friendly self-catering cottages at Lanlawren, Cornwall. The cottages are comfortable, well-equipped and traditionally fitted out, and each sleeps between two and six people. A week in one of the cottages sleeping 4+ at the height of the summer costs between around £950 and £1150, but you could have a similar length stay out of season for as little as £315. The cottage complex is less than five miles from the Cornish seaside giving you easy access to the fishing villages of Looe, Polperro and Fowey in addition to many beautiful beaches and coastal paths. With its countryside location and beautiful garden there’s plenty of space at Fox Valley for children to let off steam or have a game of cricket or football, and there’s an outdoor play area with trampoline, swings, slide, putting green and ride on toys. Given the uncertainties of the British climate even at the height of the summer visitors will also doubtless be able to make good use of the indoor heated swimming pool, in addition to the indoor games room with pool table, table tennis and table football. There are also puzzles and games for you to borrow. Fox Valley Cottages also has a number of resident animals including chickens, ducks, rabbits and guinea pigs, all of which the children can help with feeding. For the grown-ups the indoor swimming pool also benefits from sauna and spa facilities, and family pets are welcome (plus there’s a dedicated dog walking field!). The owners are able to provide cots and highchairs if you need them, and babysitting can be organised by prior arrangement. There’s also free WiFi on site. For a great value Cornish holiday venue with plenty to offer visitors of all ages, Fox Valley Cottages is undoubtedly worth your consideration. “Fox Valley Cottages is the ideal place to let your children run around and explore, with a putting green, trampoline, slide and swings, games room and ride on toys for the toddlers. If you’d like to find out more about family friendly holidays at Fox Valley Cottages, including booking and availability enquiries, just fill out the form below.